Since the release of A CURVE IN THE ROAD, I’ve received a few emails asking if I’ll have another book out soon. I’m happy to report that I’ve completed the first draft of a new women’s fiction novel, which I recently submitted to my editor at Lake Union Publishing. She’s reading it now and will send it back to me in October (2018) with notes and comments, so I’ll be working on revisions over the next few months. I don’t have a title for it yet, but it’s tentatively scheduled for release in August 2019. 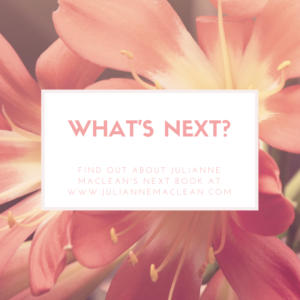 If you’d like to be informed when I’m ready to share the title and cover art, please sign up for my newsletter and I’ll send you an email with more info. I’ve also been receiving letters with questions about future books in my Color of Heaven Series. I wish I could give you a definite answer, but as of this moment (September 2018), I’m not sure what I’ll be writing next. I’m in that blissful period between books, where I’m searching for my next story idea, which is always great fun. I can’t wait to start researching and plotting it – whatever it may be. Either way, I would love to write another Color of Heaven novel, because I don’t think I’m finished with that series yet. So please check back or sign up for my newsletter so I can let you know what’s happening!